We CARE > by Connecting, Aligning, Rewarding & Engaging the health and well-being goals and interests of our members with the other key players in the healthcare and wellness marketplace to achieve more valued, personalized and results oriented interactions and outcomes. With our program, platform and approach to Living Well, Being Rewarded and Sharing the Care - Carepoynt helps make Healthcare a More Rewarding experience for all Involved. Our healthcare system is Costly, Complex and Chronically UnCoordinated - which impacts us all and in so many ways. Americans spend 3x to 5x more per capita on Healthcare than other developed countries, and 100X more on reactive 'sick' care than we do for proactive 'wellness' care. And the value, results and outcomes we get from our misaligned system are often also well below expectations. The time is ripe for Carepoynt to be a Catalyst for Change - and to turn Rewards into Results that can Engage and Empower better Health & Wellness outcomes for All. 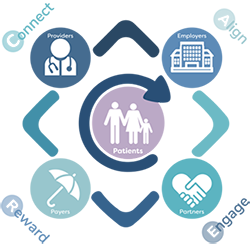 Our multisided consumer centric and business focused solution - which we call 'Rewardsware for Healthcare' - is leveraged across the broad Community of Carepoynt members, partners, employers, providers, and payers. Our unique CARE oriented approach, program and platform connects us as consumers, employees and patients with 100s of local and national health and wellness partners across our network to drive greater value, better experiences and shared outcomes for all. Joyn Us! Try it yourself. 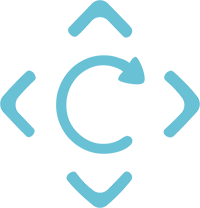 Connect with us below to Share in the Care of a purposeful venture and healthy investment together ! According to the Department of Health and Human Services, healthcare spending is projected to increase over the next decade at a rate MUCH faster than the national economy. In 2018, the average direct healthcare spend per person in the U.S now exceeds $10,000/yr (and growing) - and that doesn't even include the 5%-10%+ of household income spent on health, wellness, food, fitness, fun and more. Thats where we come in. Our country’s reactive ‘sick care’ model is broken and Carepoynt is a catalyst for change. Customer Relationship Managment (CRM) and points based Rewards programs are BIG Business. Today, there are more than 3 Billion rewards program members in the U.S. which accounts for nearly $100+ Billion in the annual value of points and rewards issued and redeemed by travel, retail, financial and other rewards programs. The collective market size of these combined industries is over $10+ trillion per year - and the impact that CRM and Rewards programs and incentives have on our consumer behavior is undeniable. So why not adapt, innovate and apply some of that insight to improve the massive Healthcare and Wellness Marketplace? Thats just what we decided to do. Until Carepoynt, there were no network-based rewards programs in healthcare. The health-focused rewards programs that do exist are spotty at best, offer limited functionality, little if any portability, and show high consumer friction with low value. Carepoynt and our 'Rewardsware for Healthcare' program, platform and Poynts based network is the innovator, first-mover and leader in this $6 Trillion marketplace. Joyn Us! Utilizing our proprietary and secure cloud-based technology, engaging and responsive design and superior CRM tools and engaging experiences, Carepoynt allows consumers to earn valuable rewards for making healthy decisions, following a self directed or provider recommended CarePlans, and even get rewarded for everyday local, national or online activities, purchases, and more. Its easy, valuable and fun - and available now. Providers, employers, payers and partners benefit clinically and economically by enhancing the value and effectiveness of their programs. And their patients, employees, families and friends can also Joyn to earn Poynts by referring their favorite partners and providers to become part of the Carepoynt Community and pave the path to more Rewarding results for all. Our CARE approach helps us all to be more connected, aligned, rewarded and engaged. That's good for you. For your providers and partners and employers and payers. For your family. For us all. We do well by doing good. And that's just good business for all involved. This is much more than a stand-alone loyalty program at a local physican’s office. Earn and redeem Poynts™ at hundreds of connected health and wellness locations throughout the Carepoynt Community. 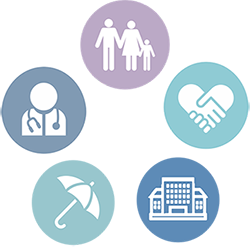 We align the interests of individual members and patients to the business goals of partners, providers, employers, and payers. That’s the power of our platform, the program and the network - and what makes Carepoynt a great opportunity. 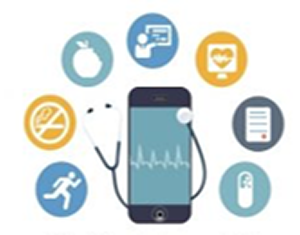 Our solution cuts through the chaotic healthcare system at the most vital intersection: connecting, aligning and engaging that missing link between consumers and most of the complex and unconnected parters, providers, employers and payers in the health and wellness ecosystem. Rewards and incentives empower patients to take a proactive approach to their health, improving their health and lowering costs throughout the system. Our solution is proven, perfectly timed and is already bringing about impactful outcomes with our growing network of members, partners and investors. Joyn Us? Through the Carepoynt Share the Care™ foundation, you can earn Poynts for your Amazon purchases via our Carepoynt for a Cause offer, and just as easily donate your Poynts to local and national charities and causes such as Make-A-Wish Foundation, Children’s Hospital of Orange County, Toys for Tots, Veterans and their families, Girls Who Code, our National Park System and many more. With an entire network working together for the common good, Carepoynt truly does make healthcare more rewarding for all! Better CARE Together. Contact us below to learn how we can work together to achieve our mutual goals. Thank you for your interest in Carepoynt! Your message has been forwarded to the Investor Relations team.